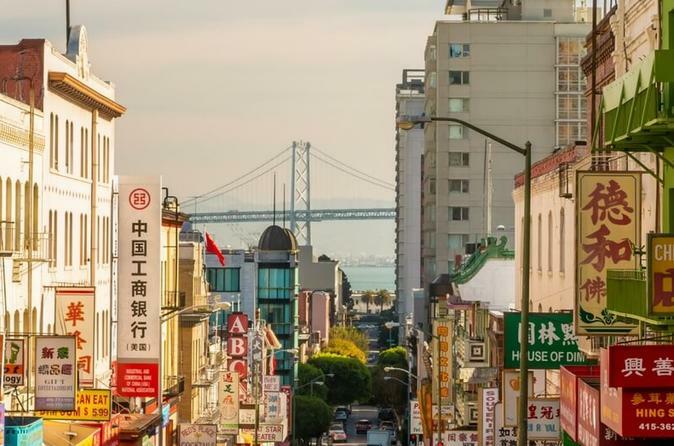 As the oldest Chinatown in North America, it’s not surprising that SF’s Chinatown is as packed with history as it is bursting with the authentic flavours of Canton, Mandarin and Szechuan cuisine. So get ready to eat your way around the neighbourhood and discover the oldest Chinese bakery in SF, taste traditional dim sum, see fortune cookies being made and experience a traditional Chinese market. We promise you’ll feel like you’ve been transported to the streets of Beijing! From buttery egg tarts made with the flakiest pastry to Beijing peking duck, steamed sesame balls and moon cakes so delicious they’re actually exported back to China, you’ll taste the best of Chinatown on this food crawl with a local. Join a like-minded local to eat your way around Chinatown, tasting its best loved and most famous dishes as you stop at a bakery, a dim sum restaurant, traditional markets and food stores and a fortune cookie factory! Get to know the food of Chinatown; from Chinese classics to global cuisine, your Local will take you to the well-known as well as the off the beat and path markets where you can find the best local and artisan produce. Taste the flavours of Canton, Mandarin and Szechuan cuisine as you explore the neighbourhood with your local, who will help you weave amongst the traditional shops and restaurants, navigate the back streets and bustling main roads and take you to the most delicious spots along the way! You’ll be able to try authentic dim sum like Shanghai dumplings and steamed bbq pork buns, visit the Eastern Bakery to try their moon cakes, and see what your fortune has in store for you when you visit a fortune cookie factory. Sip traditional tea and learn a little about this local custom before you bite into perfectly cooked, salty and sweet Beijing peking duck, Cantonese bbq buns and buttery egg tarts which have been made the same way for generations. As well as tasting the incredible flavours of Chinatown, discover its history as you visit a Buddhist temple, explore traditional medicine shops and glimpse some incredible Chinese antiques - true hidden gems!